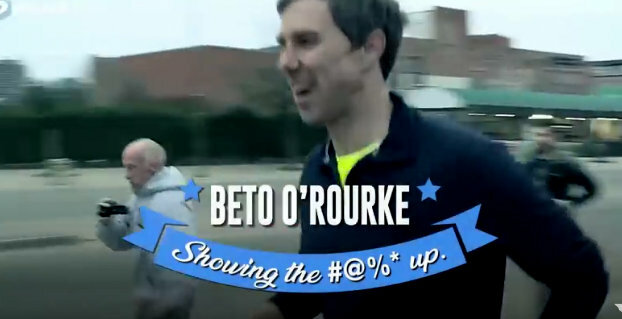 Ted Cruz Ad Derides Beto For Using F-Bombs [VIDEO] - Joe.My.God. Sen. Ted Cruz (R) has opened a new attack on Rep. Beto O’Rouke, ripping the Democratic congressman for his use of the f-word. In a new 27-second advertisement, Cruz argues that parents should leave their children at home when O’Rouke is around. It shows O’Rourke using the f-word on five different occasions. “How f—ed up is that?” O’Rourke says in one clip. “What the f— are these guys doing?” he asks in another. “If Beto shows up in your town, maybe keep the kids at home,” the narrator adds.